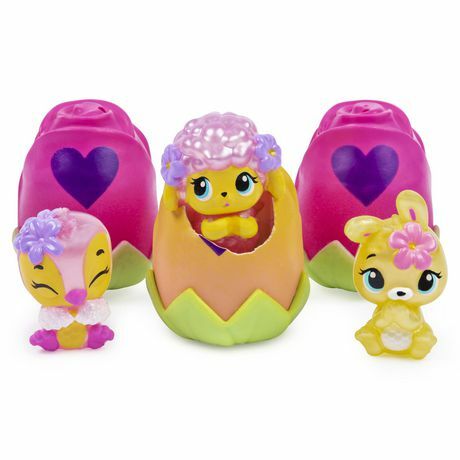 This Easter, go on a hatchy hunt with the Flower Basket! 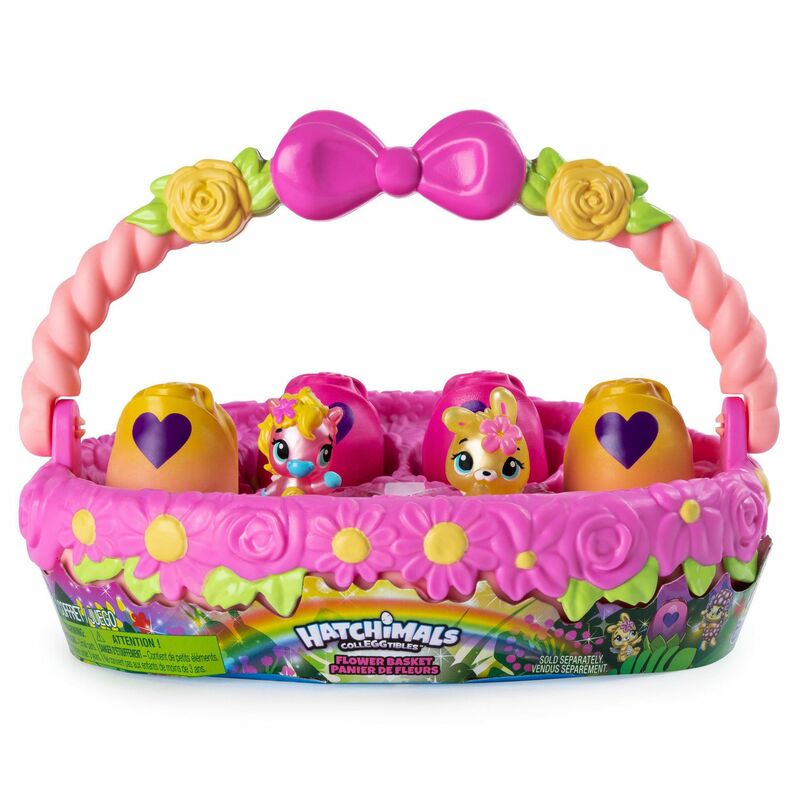 Filled with super-pretty rose-shaped eggs, this basket is bursting with springtime fun! Flip down the moveable handle and peek inside to find four in-egg and two out-of-egg Hatchimals CollEGGtibles! Display and play with your new characters right away, or start hatching! Lift one of the rose-shaped eggs out of the basket and hold it in the palm of your hand. With a bloom on top and leaves on the bottom, your flower eggs are ready to be hatched! Use your love and care to rub the purple heart until it turns pink. Gently press down to crack the shell and meet your new friend! 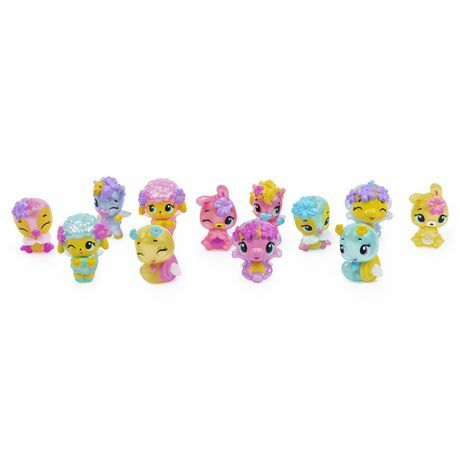 These pastel-colored cuties are ready for spring fun! With flower crowns and sparkly wings, they can’t wait to celebrate Easter! 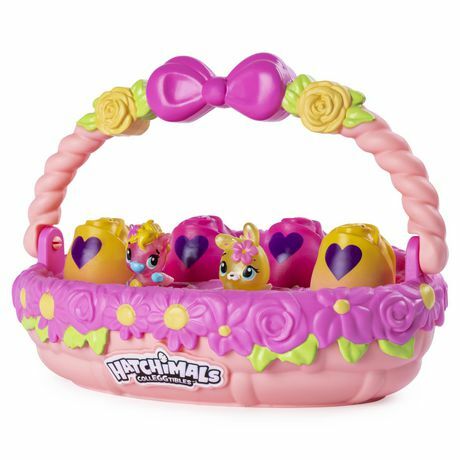 Tuck them back inside the basket, and use the extra two nests for characters from your collection! With all your friends inside, you can carry them with you, wherever you go! 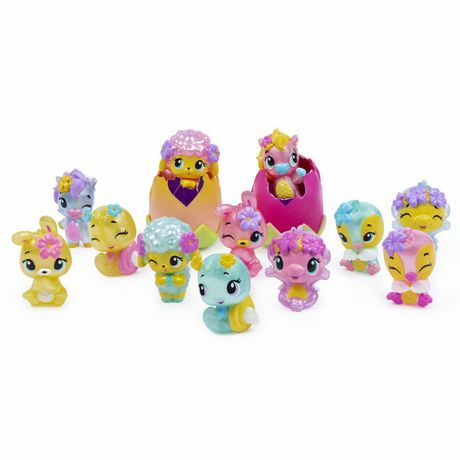 This Easter, hatch your own blooming Flower Basket! DISCOVER A PRETTY FLOWER BASKET: This Easter, bring home a Flower Basket filled with delightful surprises! This super-pretty basket is covered in pastel pink flowers, and even has a foldable handle decorated with a pink bow! Peek inside to discover all-new eggs and exclusive characters!